disgraced ex-congressman. 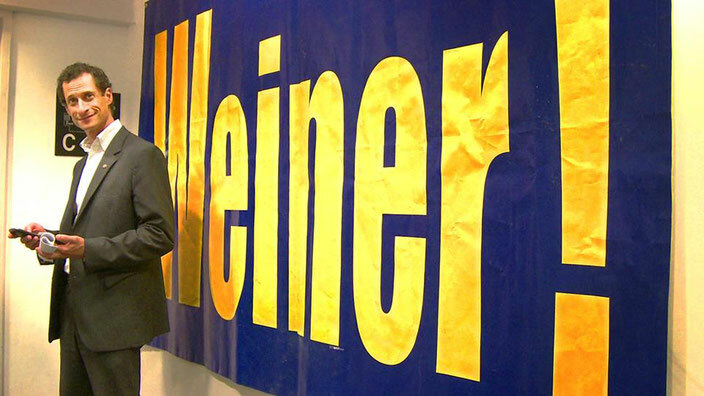 However, events take a sharp turn when Weiner is forced to admit to new sexting allegations. Weiner is one of the best political documentaries that I have seen. Thanks to the incredible access afforded to filmmakers, Josh Kriegman and Elyse Steinberg, we are party to the remarkable rise and catastrophic fall of one seriously flawed man. Of course, we are accustomed to scandal in politics. Anthony Weiner’s transgressions actually pale in comparison with many of them. However, his particular situation forms a perfect storm of sorts. His name, his political ascendancy and the peculiarity of his transgression (texted images of his, well, weiner) make for an irresistible story in today’s non-stop news world. Throughout the documentary, I wondered why Weiner would have allowed cameras to record such a traumatic time in his personal and political life. However, I’m not sure that even he knows the answer to this question. It is most likely that Weiner and his wife, Huma Aberdin, wanted to document his rise, phoenix-like, from the ashes of his first scandal. Both believed in his ability to become mayor of New York and the polls seemed to confirm this expectation. Then, when the second scandal hit, they were too shell shocked to halt the documentary - they both had bigger issues with which to contend. Weiner (the film) is made even more fascinating by the fact that Weiner (the man) was an exciting, passionate politician. He fought for the middle classes with impressive fervour and tenacity. Who knows, he may have made a good mayor. However, that was not to be. Just as compelling (and maybe even more so) is the plight of Huma Abedin. 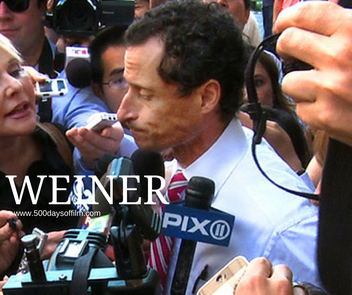 Having made the decision (after significant counselling) to stand by her husband, the film shows her emerging confidence in Weiner’s mayoral campaign. Just why is she so willing to back him? Anthony explains that becoming mayor would not only redeem his reputation but hers too (she is a key advisor to Hillary Clinton). Indeed, she had urged him to throw his hat into the ring. Anthony Weiner’s love and respect for his wife is clear to see. Huma is less easy to read. In scenes that are uncomfortable to watch, she appears deeply shocked and emotionally devastated by the second sexting scandal. However, we then see her consulting with an advisor as to whether she should be seen with her husband - even on voting day. We are left to wonder what has upset her more, the transgressions themselves or the fact that Weiner has (once again) been caught. Josh Kriegman and Elyse Steinberg’s film is a compelling and fascinating drama. I would highly recommend that you watch this documentary - if it wasn’t true, you would barely believe the scandalous story of Anthony Weiner. If so what did you think of this documentary? I’d love know your thoughts - why not leave me a comment in the box below.